This Acropora recieves a 5 to 10 minute exposure to air on a weekly basis. I have been experimenting with exposing the tops of one of my reefs to air during the weekly water change duty. This is done on purpose and can easily be achieved without exposing the reef crest corals. My thought behind this involves a theory I have that it may actually be of some benefit in our captive environments. Studying the dense and beautiful formations of reef crest corals in the wild influenced me into this thought process. 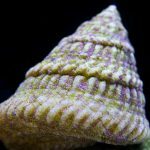 These corals are often exposed to air for extended periods and produce copious amounts of slime discharge and essentially rid themselves of any parasites or debris that resided on the tissue previously. 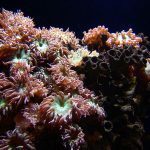 The corals in some captive grown closed systems tend to not have the natural formation and dense branching similar to the wild corals, nor the slime and resistance to parasites. 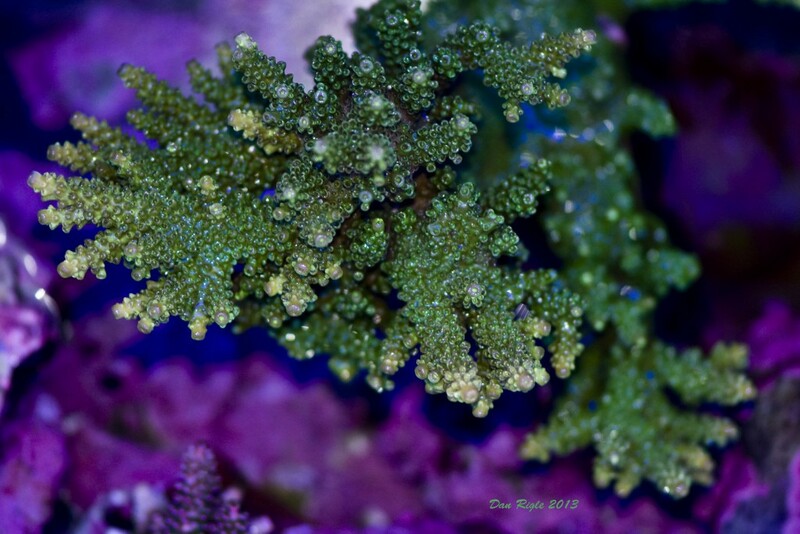 This Acropora in the image is sometimes called the Green Slimer, common name, and for good reason. 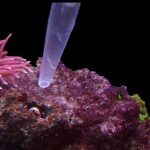 The fragments from this particular lineage coral that has been conditioned for years to the low tide effect has developed a resistance to many of the plagues that wreak havoc in reef aquariums. I have seen no flatworms or red bugs on this coral even when introduced into a closed system with these pests evident on other Acropora species in close proximity. 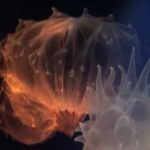 I believe the coral has some resistance to these pests or they may not favor this species given the heavy natural slime production and resilience. 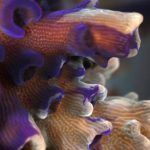 The formation and dense growth pattern of this coral closely resembles what the species apears like when healthy in its natural environment. I can not say with certainty that my theory has merit, but I will say the coral has not shown any ill effects from being exposed to air periodically and in the long term over the last several years.